April 27th Hi-Landers Club Run to the hills of Reno to view the Wild Mustangs. Meet in Reno at Mills street entrance of the Grand Sierra Resort (GSR) near the pond at 9:00am. Or caravan up on Saturday the 27th meet at 6:15am in the Walmart parking lot near Mel’s Diner. The Walmart is at Sierra College and I-80 in Rocklin (exit 109). For more info (Click here to download flyer) or call Rich at 916-300-3192. April 27th – Club Run to Reno Contact Rich B. for more info or download flyer above. May 13th --6:45pm – Poker Run Committee Meeting (prior to General Meeting). May 13th --7:30pm -- Hi-Landers General Meeting. May 18th -- 6am -- Hangtown Race Hi-Landers work security. May 25th to 27th– Memoril Weekend Club Run Typically South Fork work an trail. 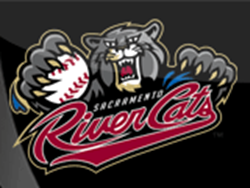 June 1st -- Rivercats Show N Shine event at Raily Field Rivercats vs Las Vegas. contact Rich B to RSVP. June 10th --6:45pm – Poker Run Committee Meeting (prior to General Meeting). June 10th --7:30pm -- Hi-Landers General Meeting. April 22, 2011 was Earth Day and the debut of the Don’t trash the Rubicon video called "It's in your hands" A 15-minute video produced by Todd Stanley, the Cool filmmaker of "Deadliest Catch" fame. The purpose of this video is to educate the public on proper use and appropriate behavior while visiting the Rubicon Trail, the crown jewel of the OHV trails, to protect this trail for future generations. Click the county logo to link to the video. Contact Dana Holland To Order the following. Material Fee: None fabric bolts are owned by the club and the fabric is free to our members. Seamstress Fee: Approximately $12 plus a $1 to $2 fee per patch sewn on. Embroidering Fee: Approximately $15 at All Awards. Final Estimate: About $40 per vest. 1) Purchase Club Patch from Membership Cahreperson and deliver to Rena. 2) Contact Rena with type and size desired, she will cut and preliminary stitch vest. 3) Pick-up partial vest from Rena and deliver to embroidery shop for embroidering. 4) Return embroidered incomplete vest with your desired personal patches for finishing to Rena.